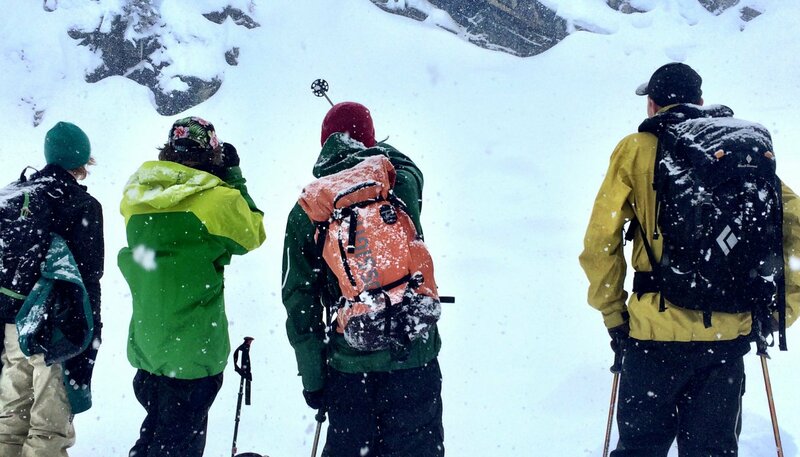 Teens are breaking trail in the backcountry well before they can drink, vote, or even drive. Avalanche educators are hustling to get to them early. In 2013, 15-year-old Dawson Toth was perched on a ridge watching his best friend, Evan, ski down the north slope of Hero’s Knob, a popular backcountry area in Kananaskis County, Alberta, when he saw the avalanche. “It started at my ski tips,” he recalls. “Then I watched the slide spread across the whole slope. Luckily, three years earlier Dawson had received training from a guide certified by Avalanche Canada for just this sort of scenario. Within a minute he’d dug out Evan’s dad, whose hand was protruding from the softly packed snow near the top of the slide. Thirty feet down, he saw his own father buried to the waist. But where was Evan? Dawson worked downslope in a grid pattern, and soon his beacon homed in on another signal. When his snow probe struck something roughly five feet below, he and a few helpers who’d come upon the scene began digging frantically. Evan was unresponsive when Dawson pulled him from the debris. But as soon as Dawson cleared the snow from Evan’s mouth, his friend coughed and inhaled rapidly.